A significant portion of the route is north of 45. Kind of a cheat to hug the pole like that and declare it an around-the-world record. Still, Zeppelins are way cool, wish we still had them. Yep, Zeppelins are all fun and games, until someone lights a cigarette. @Stephen Edwards: I know you’re being humorous, but you are aware the Zeppelins had on-board smoking lounges, right? 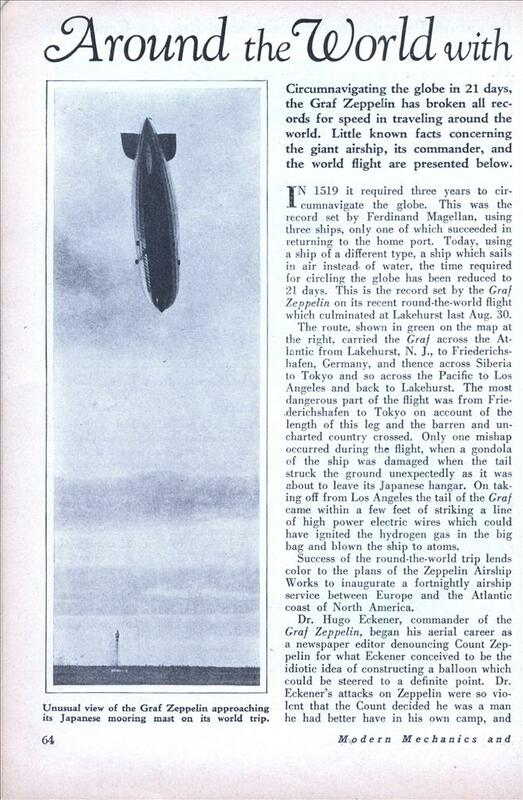 FB38: The Hindenburg was really something; very sumptuous in its appointments. Somewhere I have a book about the Hindenburg – it really turned air-travel into something resembling an ocean liner experience. I suppose that’s part of the reason I have a soft spot for airships. Even if the airships did persist and the Hindenburg disaster didn’t happen, I doubt that they would be around today. 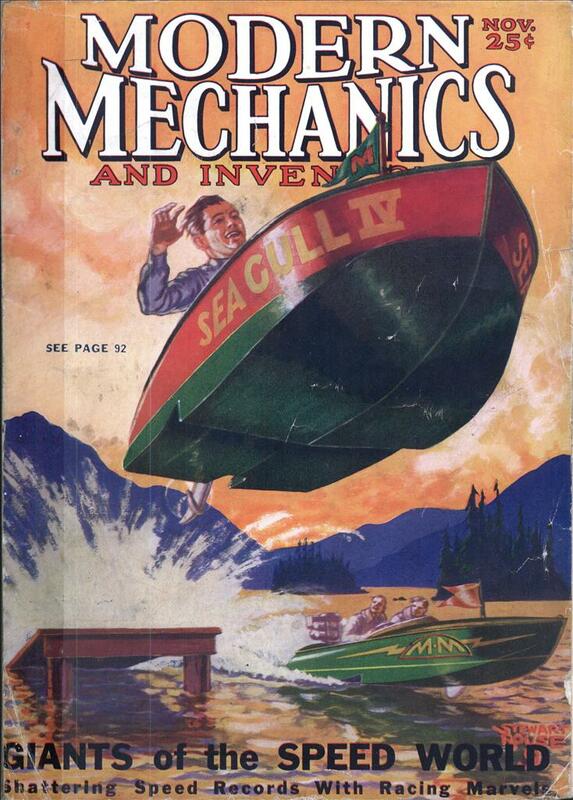 The jet replaced the ocean liner and it would have replaced the airship too. We still have the blimp but that is used more for a floating billboard than transportation. @Andrew I didn’t know that, although it doesn’t surprise me, given when it flew. The concept of a lighter than air ship that can carry supplement or replace the helicopter in many applications is under study and development in many parts of the world. In 1982 my father built an airship shaped in a lifting body, so in the same manner as a glider, which translates/transforms height into forward motion, his ship could move against the wind in long arcs by varying the amount of lift. While his concept ship flew successfully, he was unable to get investors interested and had to close down when he ran out of money.